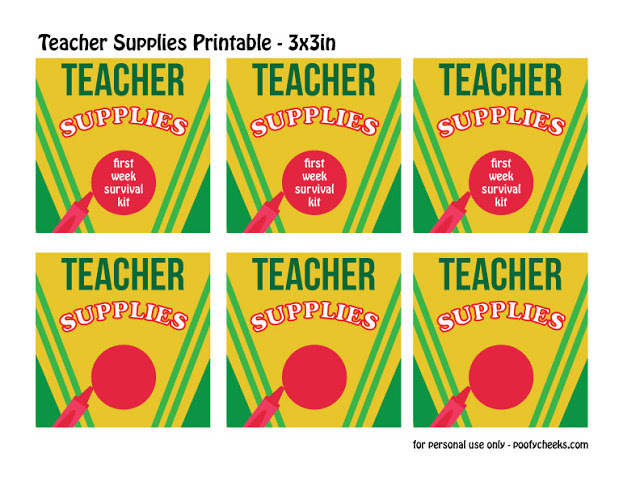 Printable teacher supply label for the first week of back to school. My kids start back to school in 27 days. While I have thoroughly enjoyed having them home with a relaxed schedule and seeing all of them create memories together I am also ready for routine. I am ready to get back to bedtimes, planned meals and getting caught up on work. My shop shipping times have been a bit delayed the past few months because I can’t seem to sit down and get a big chunk of work done. I feel like I am spending time rereading the same sentence of a page rather than finishing the chapter every time I sit down to work. 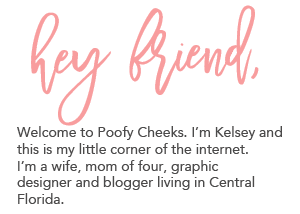 Blogging has been sparse and the list of projects I want to complete multiplies on a daily basis. So who is with me on the back to school countdown? Admittingly I always have these big plans to make the boys read daily and practice things they learned throughout the school year over summer break. I fail every time. We get busy and lazy. Then when there are a few weeks left until the school year starts I am scrambling to help them brush up on their reading, math and site words. This summer has been no different. I had a stack of books and worksheets for them to do over break and we didn’t do ONE of them. There are some new rules being posted today that require reading before screen time. With back to school on the brain we have been making the boys read a book to us each night before bed and I have been busy creating all sorts of fun and organizational printables. The printable I am sharing today is label to help create a first week back to school survival kit. While I am here looking forward to a new school year I know there are teachers working their butts off preparing for the school year. The first week of school has to be tough on a teacher. I can imagine the kids that don’t adapt well, the big and little things that need to happen around the classroom and teachers having to get back on a routine themselves. 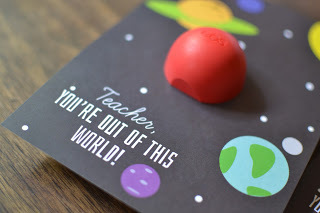 A while back I purchased some blank crayon boxes from Pick Your Plum and as I cleaned out my supply cupboard I knew they would be the perfect size for putting together a kit of items for my boys’ new teachers. The boxes are bigger than a normal sized crayon box so I was able to fit a bunch of supplies and even a K-cup into them. If you can’t get your hands on a crayon box you can always print and cut the labels and use it as a tag! Find the printable HERE.